Complete your UBC Bachelor degree studies alongside the Bachelor of Education (BEd) degree (Secondary option). 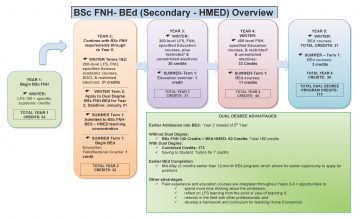 The dual degree option is completed in five years with reduced credits rather than the traditional four years + one year degree path to the BEd degree. After completing all the requirements, students will be eligible for a British Columbia Professional Teaching Certificate. 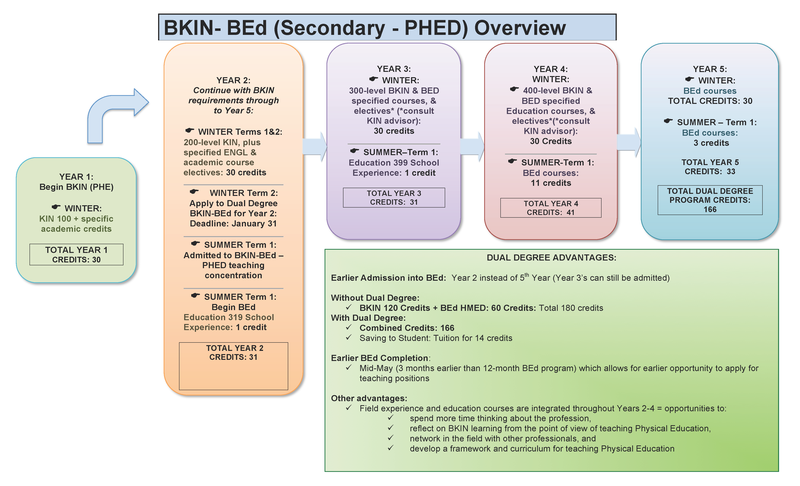 If you are enrolled in the Bachelor of Kinesology program (BKin), you can pursue a dual degree in Kinesiology (BKin – Physical and Health Education) and Education (BEd – Physical Education), which may lead to teaching secondary courses in Physical Education (Grades 8 to 12). 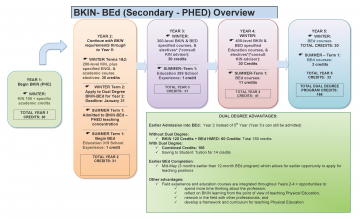 For more information about this dual degree, contact Fran Harrison. 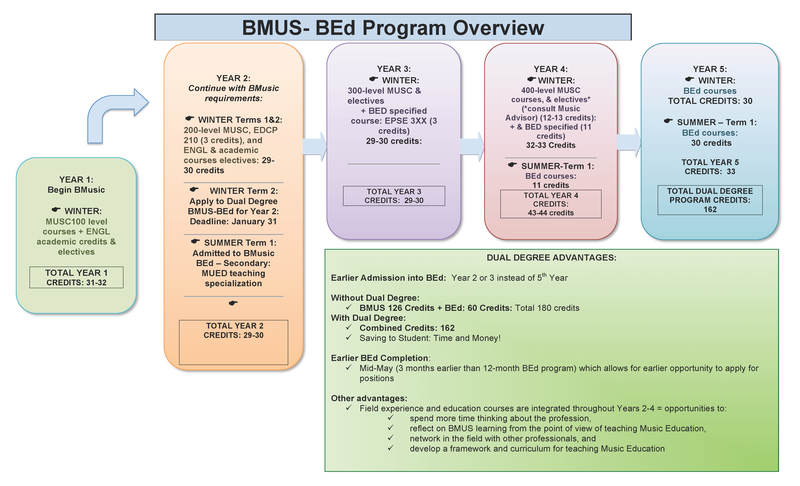 If you are enrolled in the Bachelor of Music program (BMus), you can pursue a dual degree in Music (BMus – General Studies: Secondary Music Education) and Education (BEd – Secondary Music Education), which may lead to teaching secondary courses in Band or Music (Grades 8 to 12). For more information about this dual degree, contact Rayne Graham. 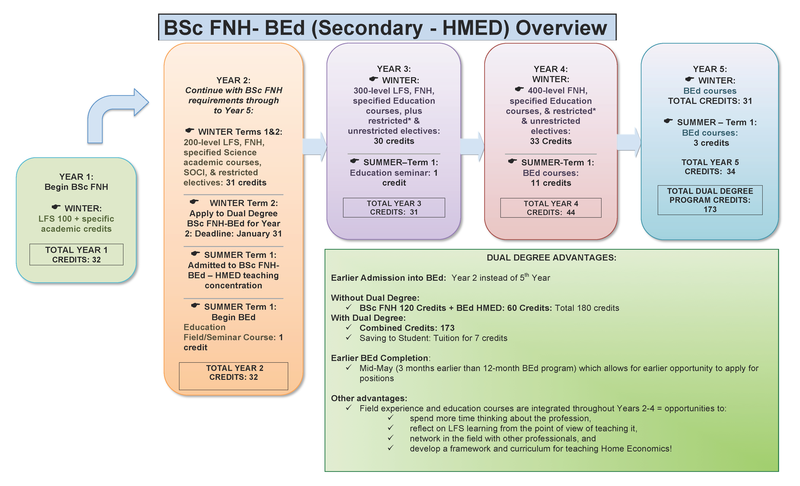 If you are enrolled in the Bachelor of Science: Food, Nutrition & Health Program (select "Degree Options"), you can pursue a dual degree in Science (BSc – Food, Nutrition and Health) and Education (BEd – Secondary Home Economics Education), which may lead to teaching secondary courses in Home Economics (Grades 8 to 12). For more information about this dual degree, contact Christine Klaray. If you are enrolled in the Bachelor of Forest Sciences, you can pursue a dual degree in Science (BSc – Forest Sciences) and Education (BEd – Secondary Biological Sciences Education), which may lead to teaching secondary courses in Biology (Grades 8 to 12). See UBC Academic Calendar - Dual Degree Program in Forest Sciences and Education. For more information about this dual degree, contact the Faculty of Forestry. 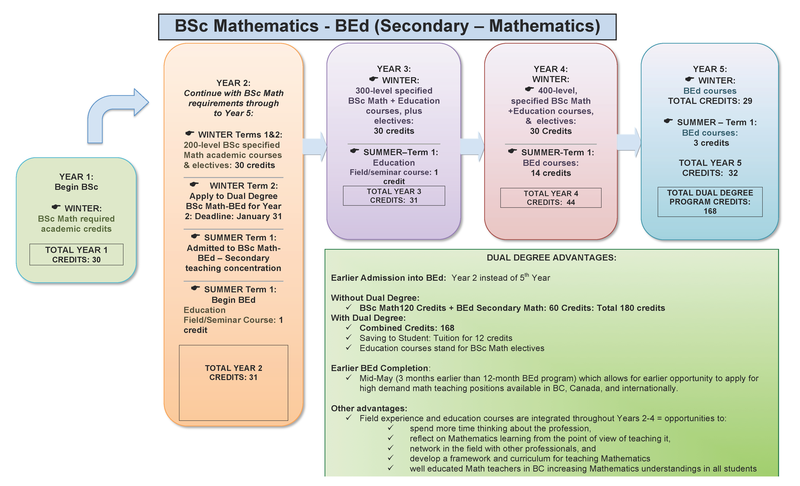 If you are enrolled in the Bachelor of Science program, you can pursue a dual degree in Science (BSc – Math) and Education (BEd – Math Education), which may lead to teaching secondary courses in Mathematics (Grades 8 to 12). 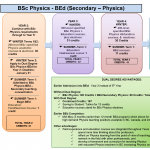 For more information about this dual degree, please contact Kim Chan at kchan@science.ubc.ca. If you are enrolled in the Bachelor of Science program, you can pursue a dual degree in Science (BSc – Natural Resources Conservation) and Education (BEd – Secondary Biological Sciences Education), which may lead to teaching secondary courses in Biology (Grades 8 to 12). See UBC Academic Calendar - Dual Degree Program in Natural Resources Conservation and Education. For more information about this dual degree, please contact the Faculty of Forestry. 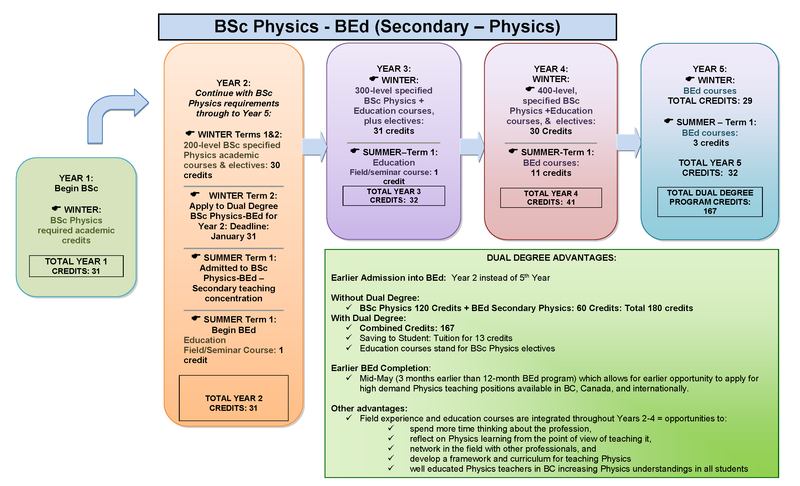 If you are enrolled in the Bachelor of Science program, you can pursue a dual degree in Science (BSc – Physics) and Education (BEd – Physics Education), which may lead to teaching secondary courses in Physics (Grades 8 to 12). Learn more. For more information about this dual degree, contact Kim Chan. Currently, the Dual Degree program is open only to students who are currently pursuing a degree in the subjects listed here. Dual degrees are not open to students with a previous degree. 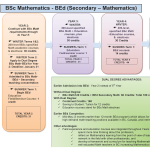 For more information, contact the Teacher Education Office. Admission acceptance into the program is determined based on the applicant’s transcript and a statement of academic purpose. Entry into and continuation of a dual degree program requires that the student remain in good academic standing. 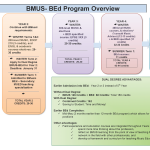 Students must satisfy all of the specified dual degree program option requirements for their degree and the Education degree.